From hand-embroidered botanicals on tailored shapes and modern adornments to time-honoured Jodhpuris, the traditional man gets an understated makeover. Go traditional with Anita Dongre’s ensemble that pairs a linen Chinar Kurta in plum with tapered black trousers and silk embroidered shoes. The kurta has a Mandarin collar, which features the logo in delicate zardozi, and an inverted box pleat on the front – light and timeless. 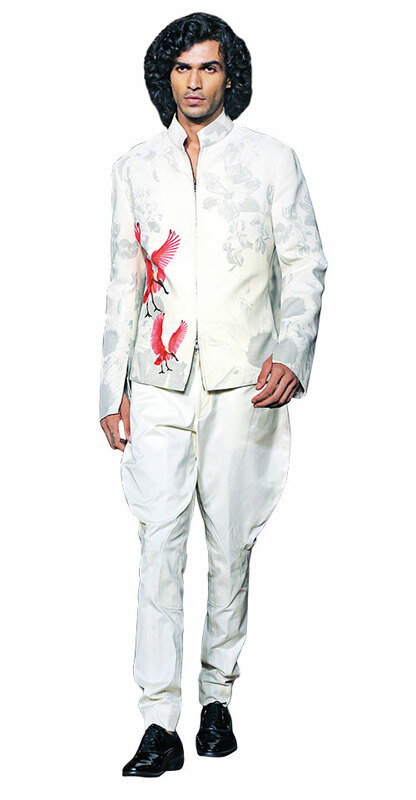 Rohit Bal infuses his love for nature-inspired embroidery in his chic ivory bandhgala. The vibrant pink flamingos add a splash of colour to the floral silhouettes, lending an opulence to the entire outfit. No suit is complete without a watch, and Tissot’s uncomplicated Ballade watch is both functional and aesthetic. 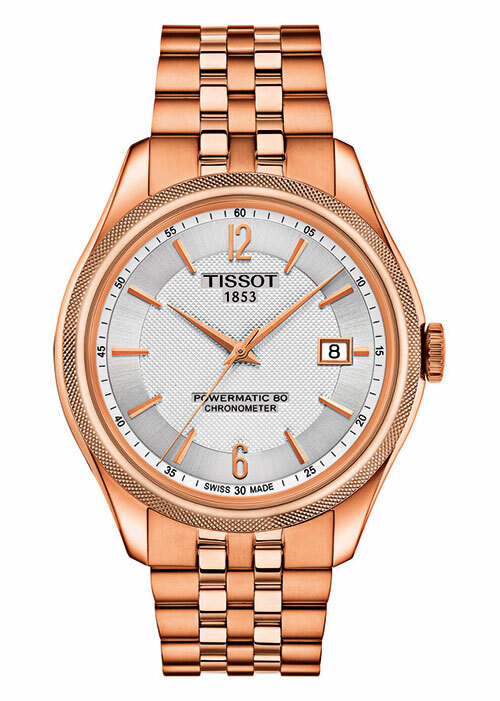 It has a minimalistic silver dial, with rose gold accents, and is powered by Tissot’s famous Powermatic 80 technology – a reliable timekeeper that is also stylish. 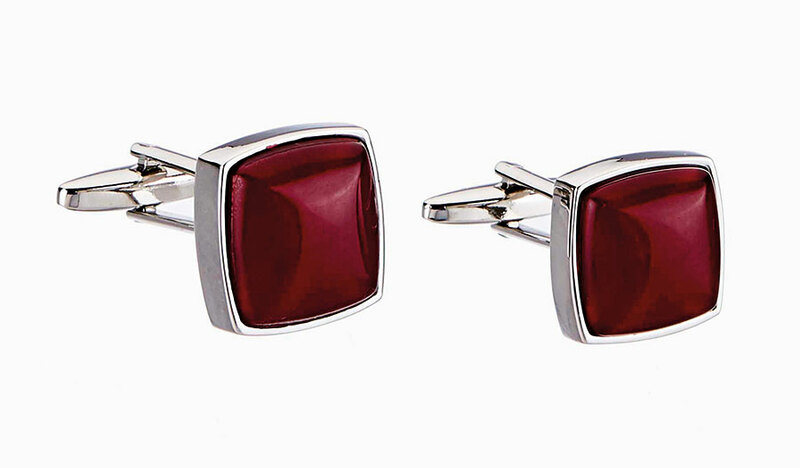 Add some glamour to your average workwear wardrobe with these silver and pink cufflinks from Satya Paul. 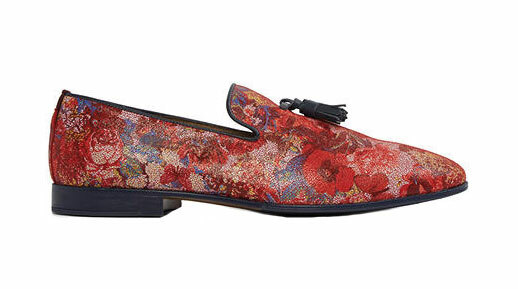 Try something new with ALDO’s hand embroidered shoe for men. The floral pattern gives a subtle makeover to a classic shoe that is sure to enhance any look – modern or conventional. Embrace the festivities with Ritu Kumar’s elaborately embroidered lehenga. The blue and pink pastels form a gentle background and let the charming work to shine through. A luminescent outfit for a dazzling season. A natural palette, a modest collar, and an elegant flare come together in this long-sleeved kurta from Fabindia. TBZ offers its best in these ornate chandelier-esque earrings in rose gold. 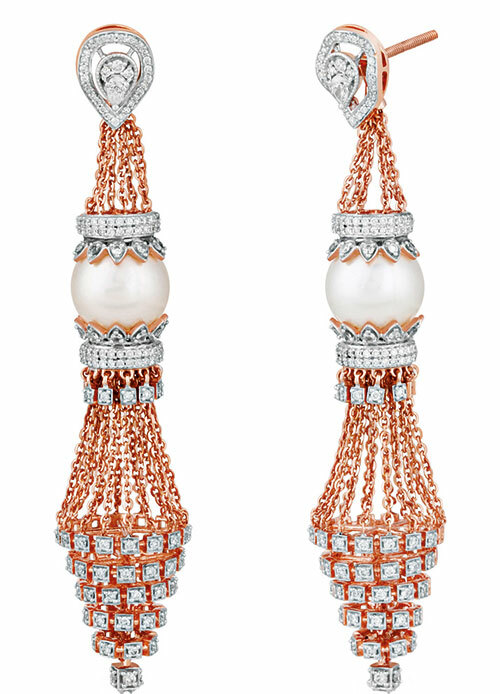 Adorned with a royal pearl and an array of diamonds, these earrings are sure to mesmerise. 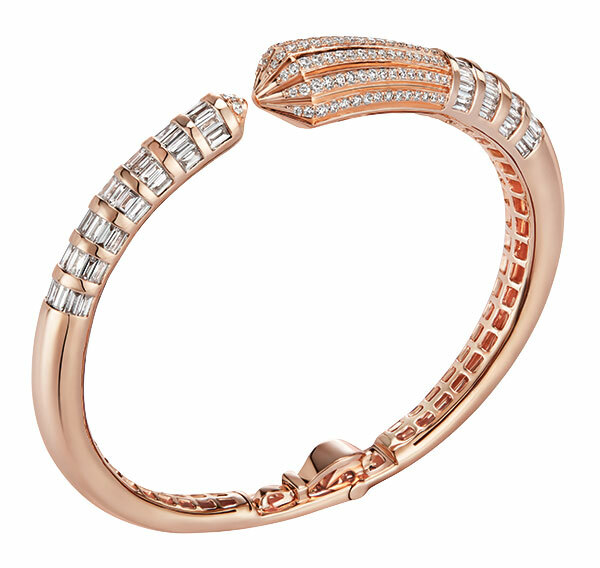 Zoya celebrates its Florentine Romanesque inspiration in this Florence Baptistery diamond bangle. The stark symmetrical lines and iconic octagonal architecture characteristic of this style is perfectly reproduced in the delicate pink gold that houses the diamonds. Complete your dazzling outfit with a simple heel from Steve Madden. The lightly embellished straps cross daintily over the foot, lending both confidence and grace to your walk. 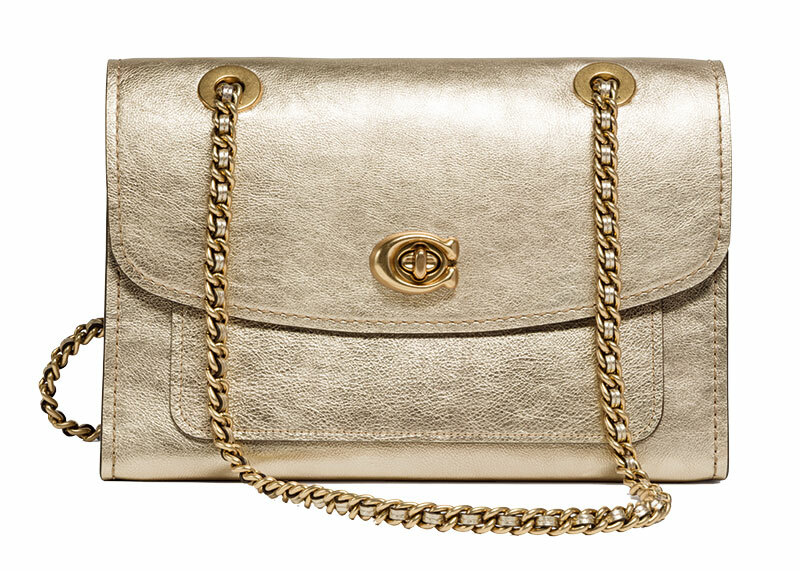 This unassuming yet sophisticated bag from Coach will complement any outfit. Its soft gold colour, unadorned gold chain, and the classy logo in gold make for a must-have accessory.